SPAIN sold €4.3 billion worth of military equipment last year, new figures have revealed. It is a 7.3% increase on 2016 and the second year in a row the country has broken its own record. According to a report by the Stockholm International Peace Research Institute, Spain was the seventh-largest exporter of weapons last year. 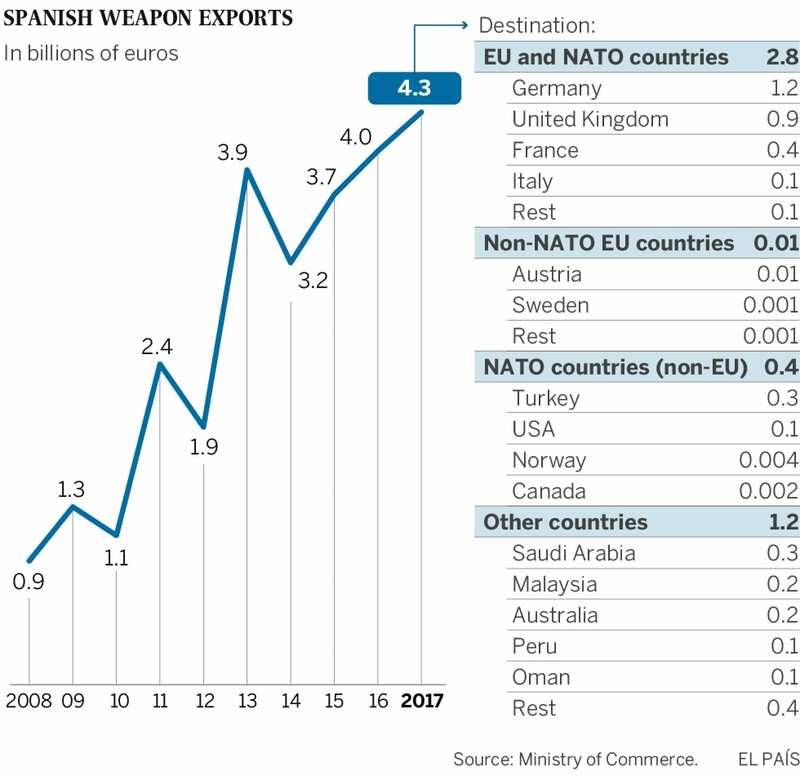 The EU accounted for 72.6% of Spain’s weapons exports. Outside the bloc, the country’s biggest client was Saudi Arabia with €270.2 million in sales, a 133% rise from 2016. The Spanish government blocked four sales last year, including two worth €1.9 million meant for Israel. Sales to China and another to Myanmar were also blocked. 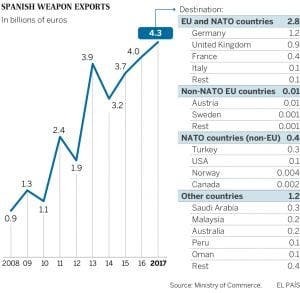 Germany was Spain’s top client, purchasing €1.2 million worth of weapons. 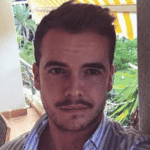 Other major clients were Britain, France and Turkey. The bulk of all sales were aircraft assembled at a plant in Sevilla. 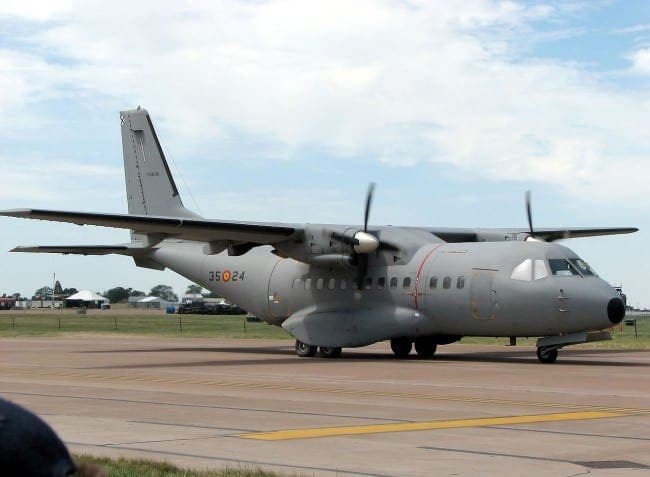 The planes account for 79% of Spain’s military exports. Saudi Arabia topped Egypt as Spain’s number one non-EU client last year, spending €270.2 million on a carrier aircraft, unmanned aircraft, replacement parts, mortar shells and more. The weapons will likely be used for Saudi Arabia’s assault in Yemen. Since its operation began there in 2015, orders of Spanish weapons have almost tripled from €34.7 million in 2016 to €90.1 million in 2017. The Middle-Eastern power has been accused of crimes against humanity in the war. Amnesty International, Oxfam Intermon and Greenpeace say that there is not enough monitoring of how the weapons sold are used. May I assume you wanted to say: “Germany was Spain’s top client, purchasing €1.2 billion worth of weapons”? You missed a good chance to discover the mistake yourself, if you had a look onto the graphic which was attached to your report. Or given a full Spanish weapons export of 4.3 billion € that you reported, how then Germany with only 1.2 million euros could be Spains best client? Better think first, write second.